You can also read our 2017 Top 50 Multifamily Owners, 2016 Top Owners and 2015 Top Owners rankings. Despite growing economic uncertainty surrounding global trade and a record-long expansion, the commercial real estate sector is maintaining steady growth. Certain sectors, including multifamily and self-storage, have seen significant new supply recently in response to strong demand from 2012-2016. As a result, rent growth and overall returns have been somewhat muted as new supply is absorbed. Long term, however, these sectors remain attractive due to demographic factors impacting population growth and migration. Retail has also experienced weaker performance of late, as the industry is poised for a dramatic shift due to rising e-commerce channels and experience-based consumption. But the retail sector is far from dead, with pockets of strength in addition to the areas of weakness over the next few years. Industrial, on the contrary, has been the beneficiary of new trends in retail and consumption. In major logistics markets such as the Inland Empire, New Jersey and Chicago, new industrial property is absorbing quite rapidly despite heightened levels of supply. The office market seems comfortably stable, as modest new supply, most at the high end, is being filled with growing tech firms and trendy coworking spaces. Meanwhile, strong office-using employment growth continues to drive the economy and maintain overall vacancy rates at a normal level. Given the spectrum of fundamentals affecting different sectors, the value of diversification remains increasingly important for our top owners. Not only do the firms atop our rankings have some of the largest portfolios from a square foot and unit perspective, they also own properties in numerous different sectors. Within the confines of multifamily, diversity remains important, and a strong mix of affordable, market rate, student and senior housing can allow an owner to navigate through market and economic volatility, while maintaining strong performance. Many of our top firms topped last year’s list, as well, although many—including Clarion Partners and Lincoln Property Co. —have expanded their portfolios both on the commercial and multifamily sides in the past year. Our rankings do not simply focus on the size of an owner’s portfolio but also on its occupancy, value and focus on environmentally friendly buildings. Our rankings are derived from data provided by owners via our annual survey. 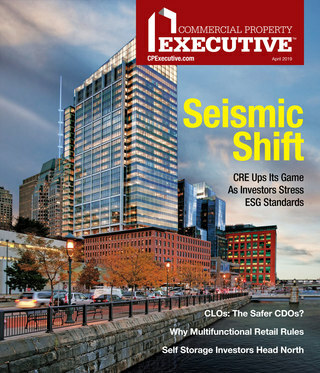 Not all commercial and multifamily owners responded to the survey. The 2018 CPE-MHN Ranking of the Top Owners utilized self-reported data for all firms. The ranking results from a weighted formula based on a variety of factors (only a few of which are specified here), including the total square footage and number of units owned, owned portfolio value, historic performance and a focused or diversified participation in property sectors. The ranking represents what we feel is a logical balance between firm growth and market share, as well as property diversity. 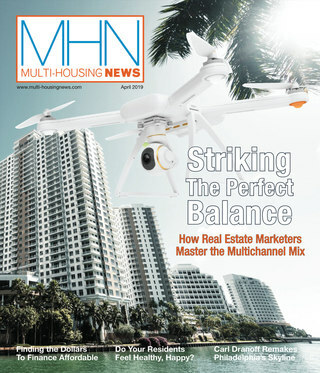 Read the November 2018 issue of MHN.